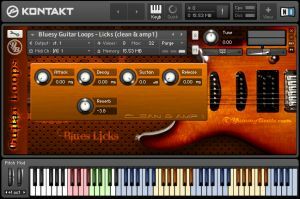 Bluesy Guitar Loops (Licks & Strumming) by YummyBeats.com is Soundware (e.g. samples or presets that load into other products). 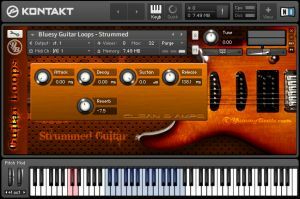 Primarily all guitars have been recorded in wav for use with any wav compatible sampler or DAW. Additionally we have added a complete Kontakt instrument with which you can switch dynamically between single lick groups. All guitars have been recorded clean (with a tube preamp) so that custom amps can be added as well as with additional amps. 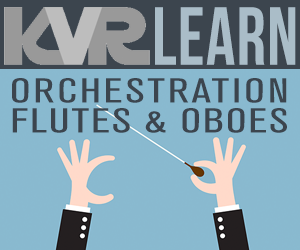 All licks are mapped over one octave and divided into 7 groups controllable via key switches. bluesy guitar licks & strummed rhythm. recorded in wav for use with any wav compatible sampler or DAW. recorded clean (tube preamp) to add own amps & two additional amps. 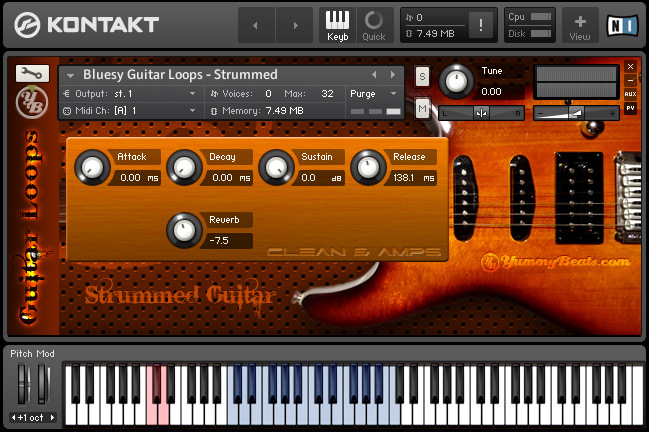 full version Kontakt 5 (or later required).